Seefar is implementing a major study of irregular migration and smuggling in migrants through Libya. Researchers have conducted interviews with migrants from the Horn of Africa and West Africa, the facilitators of their journeys, and other key informants expert in the subject. We also surveyed over 450 migrants of the same nationalities to generate much needed quantitative insight into what brings migrants to Libya, what they experience there, and the processes that lead to Europe, prolonged stay in Libya, return home, or other, often difficult, outcomes. The study is pioneering in data collection terms, with research conducted in the north and south of the country, and testimony from smugglers and facilitators along the migration chain. Early findings reveal diverging levels of wilfulness in the migration process, with evidence of modern slavery. It also builds on previous studies by offering insight into how some migrant groups continue to live relatively normal lives in Libya, while others languish in smuggling holding houses and detention centers. This study is highlighting striking differences in how migrants’ realities, perceptions, and practices differ between and within nationalities. 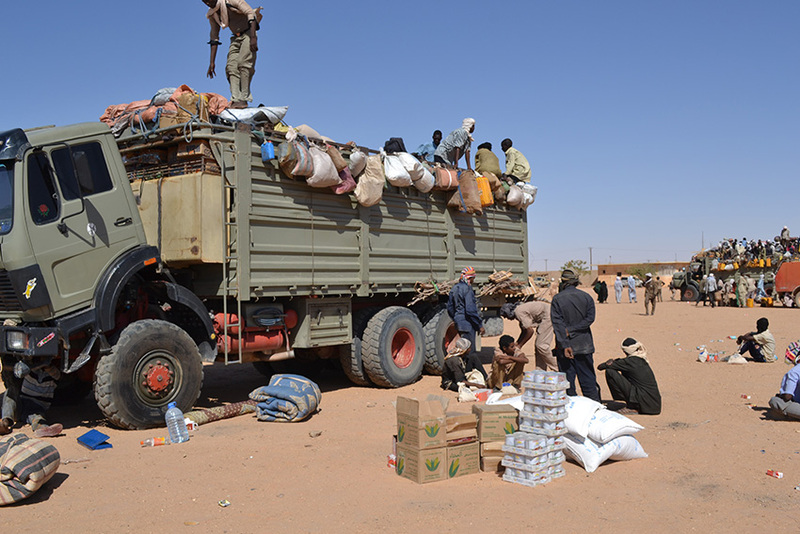 Findings show how smuggling and irregular migration processes for Eritrean, Ethiopian, Sudanese, Guinean and Nigerian migrants diverge. The research results will inform better protection policies to be built around real need. It will also enable migration management measures to improve and better take into account the rights of migrants.